Intel DH77DF is the latest Board for Sandy Bridge CPUs with Sockel 1155. The new H77 Express chipset enables eg. mSATA SSD-support with Intel® Smart Response Technology.S1200KP is a server-mainboard designed for Intel Xeon E3-1200 and therefore to be seen as entry-level-server. The board is equipped with 2x Gigabit-LAN and 4x SATA ports. 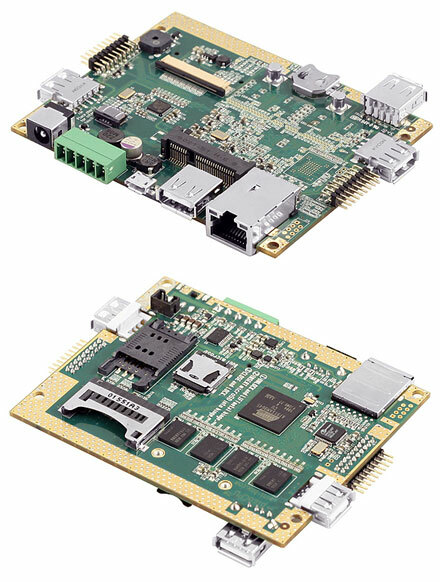 pico-SAM9G45 is an ARM based mainboard in Pico-ITX format with many features and functions. 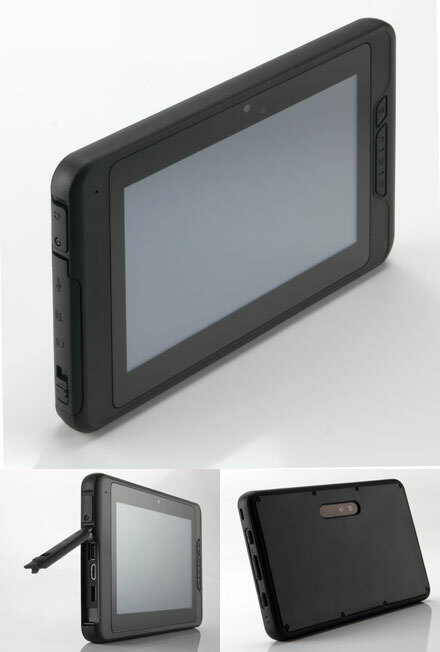 pico-SAM9G45 is highly extensible and permits adding many features and interfaces. 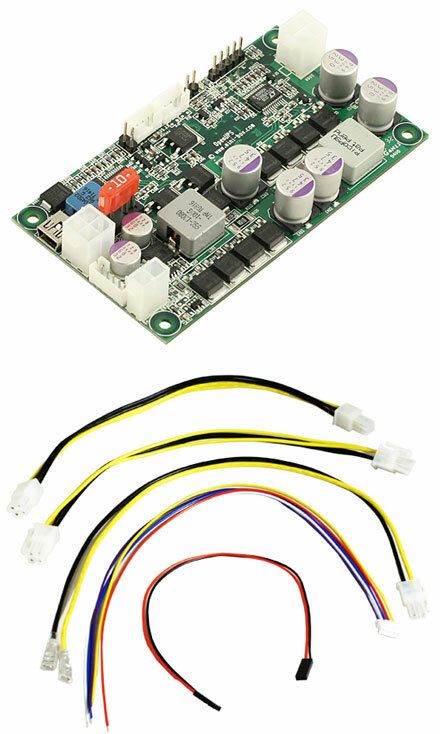 This system board is at the core of a series of small, low cost systems with touch screen displays, oriented towards modular hardware I/O configurations. OpenUPS. Any input. Any output. Any Battery. The OPEN-UPS was designed to provide user specified regulated power output from a wide input voltage, battery backup, multi-chemistry charging and cell balancing in a single PCBA. The unit automatically switches the power path in between Battery and Main DC input and provides buck/boost output regulation. Another fanless Intel Atom based Mini-barebone has found his way into our product range : Jetway JBC362F36W-2600-B is equipped with the new Cedar Trail-M N2600 CPU and 2x Gigabit LAN. CarPC JoyCon EXR converts car steering wheel remote controllers into a PC USB keyboard. You can control MediaPlayer or front-ends (eg. CentraFuse) with your steering wheel audio remote controller. As the buttons of your steering wheel controller are mapped to PC keys of your choice, you will be able to control any software which can be controlled with PC keys from a keyboard. A,B channel has 12 buttons respectively. C,D channel has 2 buttons respectively. The first version had only one input channel. Long button and short button enables one physical button works as different two button. The critical time and the duration of each button can be configured by the user. The first version had only one long button, but Exr supports long and short button for each buttons of Channel A/B. User can configure the resistance value of each button easily with “Auto Detect”. Rearview pops up when Channel C detects reversing light signal. Any USB camera or USB capture device can be used for rearview. Exr solved many boot troubles and resuming troubles with the recent mainboards. If a user has any trouble with his new mainboard or he find a bug, we solve the trouble and release the fixed firmware, so that the user can update the firmware in the JoyCon Explorer by internet easily. Application launches and pops up with preset switching by pressing a button. And “Track top windows” enables automatic preset switching when the top window is changed. 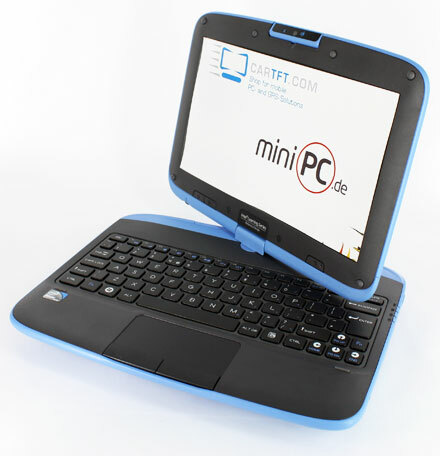 “Track top windows” is very useful for touch screen user. HID remote controller enables system volume control, system power control(power off/sleep), media player control. Button speech(also OSD) can be configured for each button. 10. 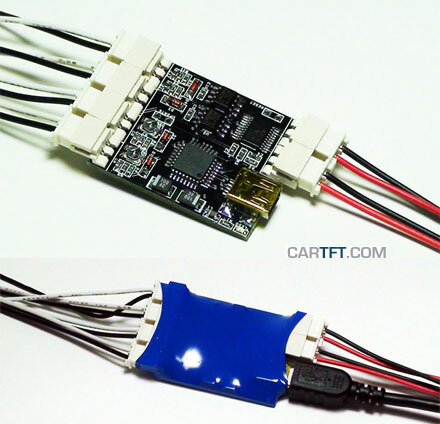 2 programmable external LED port.